The 2013 Greatness In Baseball Yearly (GIBBY) award winners were announced Tuesday afternoon. 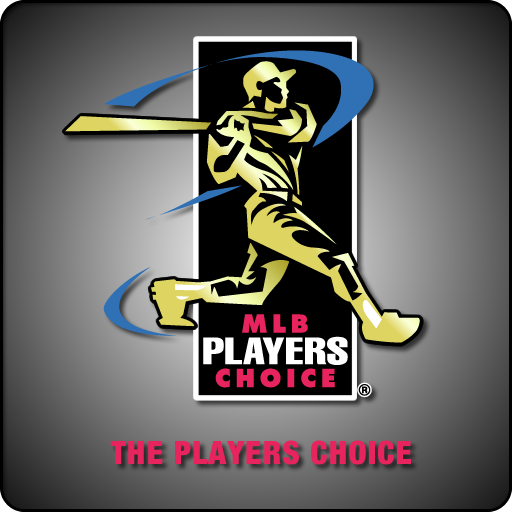 The GIBBY awards — which began in 2002, but were referred to as the ‘This Year In Baseball Awards’ until 2010 — are awarded annually for 23 different categories, including Rookie of the Year, Play of the Year, MVP of the Year, etc. I originally picked Chris Davis for this award, however, I have no problem with Miguel Cabrera getting it instead. He was very deserving, batting .348 with 44 home runs and 137 RBI’s this season, coming up just short of a second straight Triple Crown award. Though I didn’t necessarily deem him as the Most Valuable (the category above), I easily picked Miguel Cabrera as the best hitter of the 2013 season. Anytime you hit in the mid 300’s, launch over 40 home runs and drive in way over 100 runs, you have my vote. Clayton Kershaw had a career season; one of the best in MLB history for a pitcher. Kershaw is very deserving of this award, and there really wasn’t any competition, as no one could compete with his 1.83 ERA. With three players having incredible rookie seasons — Wil Myers, Jose Fernandez and Yasiel Puig — it was difficult to pick just one. Therefore, while my original pick was Wil Myers, I feel Jose Fernandez is just as worthy. Fernandez’s 2.19 ERA over 28 starts is truly remarkable for a rookie. While Mariano Rivera was the most followed closer of the 2013 season, after announcing his retirement this year back in March, Craig Kimbrel continued to be the most dominant. Though there were a few other closers who had great seasons, Kimbrel stood above the rest, recording 50 saves with a 1.21 ERA. This was another difficult category to pick, but I feel the right player received the award. I didn’t originally pick him, however, Mark Melancon was truly remarkable this season as the setup man for the Pirates, with an ERA of 1.39. He should continue to help out the team moving forward. Though I don’t really agree with Yadier Molina winning this award, I do have to acknowledge his great defensive skills behind the plate, blocking pitches better than nearly any other catcher in the game. While I still think Brandon Phillips, or a few other players, should’ve received this award, Molina is still worthy of the honor. I really felt Matt Carpenter had a shot at this award, as he was a big part of the Cardinals’ success this season. But I suppose hitting 2o more home runs and 53 more RBI’s than 2012 stands out for Chris Davis deserving this award. My original pick, Koji Uehara, had a great finish to the season, and a great postseason. I thought that would be enough, however, Matt Harvey ended up taking home the award. Harvey truly had a breakout year, lowering his ERA by nearly 50 points the year before, and I’m happy he received this award. I don’t think Francisco Liriano should’ve won this award, and I’m shocked that he did. Liriano had a come back year, no doubt, but Mariano Rivera had a better one, in my opinion. With the combination of coming of an injury in 2012, pitching another great season, and retiring after the year, I would’ve thought Rivera would’ve won easily. John Farrell took a Red Sox team that finished in last place the season before and led them to winning the World Series. This was an easy category to predict, and Farrell deserves it, no question about it. I’m a big fan of Billy Beane and the great work he does every year, but Ben Cherington, being the general manager of the Red Sox, had a few more accolades for the award than Beane. As with John Farrell, the Red Sox winning the World Series put Cherington over the top in this category. David Ortiz stood alone for this category as no other player came close to posting the stats he did. All throughout the postseason, Ortiz came up big, posting a batting average of .353 throughout October, and he truly earned this award. The play with the biggest “wow” factor for me all season long was the catch Ben Revere made up in Cincinnati. Running back on the ball and diving at the last second to make an unbelievable catch that ended in doubling off the runner at first, Revere’s catch was one of the most amazing I’ve ever seen. But Manny Machado’s throw from foul territory to first base to nail the runner, after bobbling the ball, was remarkable as well. I guess I’m such a big fan of Mariano Rivera that I felt he should’ve won every award he was nominated for. But instead, the award winner was David Ortiz, for his speech he made before the first game played at Fenway Park after the Boston marathon bombings. Again, as I stated in the last category, I thought Mariano Rivera should’ve won this award as well. But the Pirates were voted the storyline of the year, finishing above .500, and making the postseason, for the first time since 1992. Alfonso Soriano’s two home run game in which he notched seven RBI’s was impressive, and was the one I voted for, but I really didn’t have a favorite from this category. Mike Trout’s cycle at the age of 21 won the award, and I cant really argue with that. This was a fairly simple choice, as while there were several no-hitters, Tim Lincecum’s stood out the most, with his 13 strikeouts. While Lincecum has had some ups and down over the past couple seasons, I feel he’ll have a bounce back season in 2014. My original pick was a ground rule double in St. Louis that bounced between two pieces of padding in the outfield wall — I mean, what are the odds of that? But, instead, Evan Longoria and Todd Helton received the award for the “hidden ball trick” performed flawlessly by both during the season. Giancarlo Stanton scoring on a wild pitch in the bottom of the ninth to secure Henderson Alvarez a no-hitter, who hadn’t allowed a hit but didn’t have any run support, was hands down the best walk-off of the year. That’s something you may never see again. Carly Rae Jepsen throwing one of the worst first pitches in baseball history down at Tropicana Field was the one I originally selected, but Munenori Kawasaki’s speech up in Toronto was the winner. I’m actually glad Kawasaki won, despite not picking him, as he is one of the funniest guys in baseball, and I still get a laugh by watching footage of his speech. This was one of the most unusual endings to a postseason game in baseball history. Allen Craig scored, tripping over third baseman, Will Middlebrooks, on an obstruction call to end game three of the 2013 World Series, and it was truly an incredible, and memorable, moment. Mariano Rivera is on his way to the Hall of Fame, after having one of the best careers for a pitcher in MLB history. The greatest closer in MLB history, with 652 career saves, Rivera won this award fairly easily, with the respect he has earned over the years and the stats he’s been able to put together for the Yankees.